I had such high hopes when I started reading this book. I've heard great things about the book and the drawings just looked amazing. I didn't want to finish it in one sitting so I read a little bit every day. Do you know that feeling, when you just don't want to finish a book or series because it's so GOOD?! It was the same for me with this book! Combination of styles: What was so cool, is that this book has a combination of styles in the Fantasy genre. There are archers and knights and castles, but also high tech computers and more modern stuff. The combination of those two is what made this book unique. Humor: LOVE IT. When a book has good humor, it is already a +1 for me. This book has the kind of humor that I like and it's even stronger with the awesome drawings that make it even funnier. Drawing style: SO COOL. It just totally fits the story and makes it a complete book where the story, drawing and text all make each other stronger. The drawing style feels unique to me and I would be able to recognize the style ANYWHERE. End: WHOAH. I had hoped for an ending that would blow me away, because that would totally give the book the 5 stars it deserves. The ending is great. 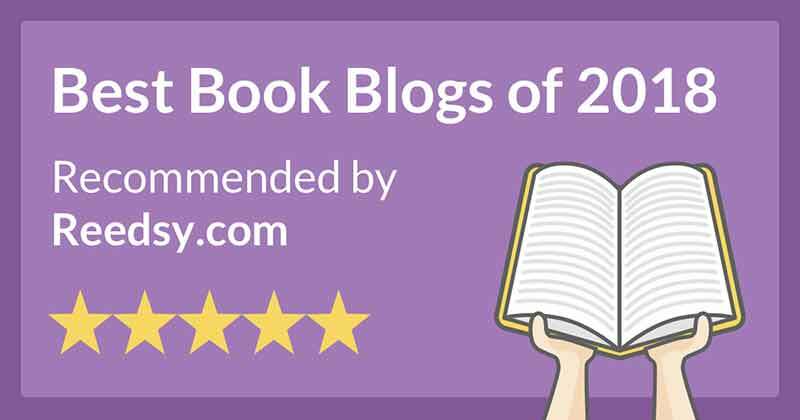 I felt good about it and I think a different ending would not have made this book stronger. MORE?! : This is not even a CON it is a SCREAM FOR MORE. PLEASE. 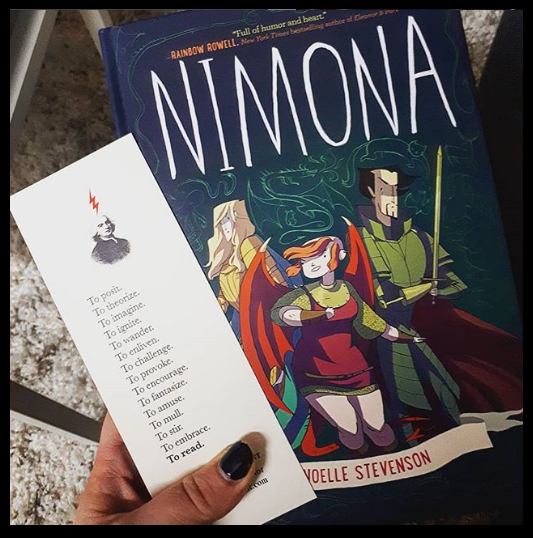 A bullseye for me, with this book by Noelle Stevenson. I immediately looked up more of her books and added them to my TBR. The story is good and the drawings make the story stronger. The humor is totally my thing. I just have another favorite book! Yay! "Noelle Stevenson has a knack for capturing the humor and heart in a situation in just a few panels." "If you're going to read one graphic novel this year, make it this one." 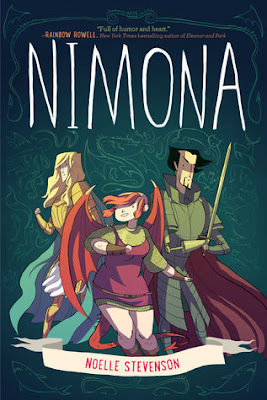 "Nimona is a beautifully flawed and refreshingly unstereotypical in a book that is both darkly witty and surprisingly touching. And Nimona is a protagonist in both love and fear." "You can't just go round murdering people. There are rules, Nimona." "I'm not a kid. I'M A SHARK!"